Health Advocacy, Promotion and Partnership by Youths in Nigeria (HAPPYNigeria) is a national youth-led, not-for–profit, non-governmental organization established in 2006. 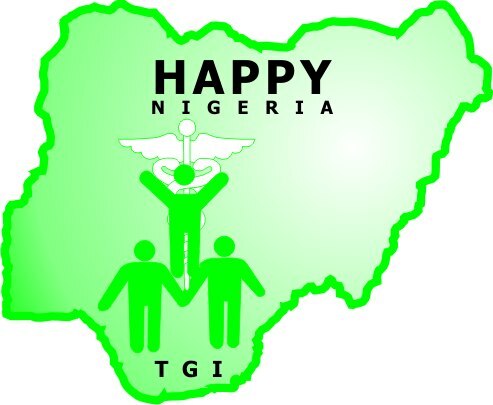 HAPPYNigeria inspires the Nigerian youth to continuously challenge and expand the role of both the individual and institutions in addressing Nigeria’s Health and developmental needs in order to foster public health care quality improvement. The recurrent resort to industrial action by various professional unions in the public health sector is a serious cause of concern to us, as it is to other well-meaning Nigerians. For the umpteenth time, the ailing public health system in the country has again been paralyzed due to the ongoing nationwide strike action embarked upon by the doctors under the aegis of Nigerian Medical Association (NMA). It was reported that the doctors downed tools following an alleged inability of government to accede to various demands contained in their 24-request protest letter. Media reports suggest that government-owned health facilities across the 36 states and the Federal Capital Territory are deserted with only skeletal services being rendered by few consultants and other health workers. The effects of the ongoing nationwide strike action by the doctors, commenced 1st July 2014, are monumental and devastating. Many sick children and pregnant women who require urgent attention by the doctors are being denied. All over the country, thousands of surgical cases that require surgical operation have been put on hold with dire consequences. This ugly situation, we believe, must have led to loss of numerous innocent and precious lives. In the interest of teeming Nigerian masses, HAPPYNigeria calls for immediate resolution of the on-going industrial dispute in the health sector. Relevant government agencies should intervene with a view to finding lasting solution to the impasse. NMA should sheathe their sword in the overall interest of their patients and the downtrodden. Going forward, we implore government at all levels to be proactive in addressing industrial disharmony in heath and allied sectors in order to avert these incessant strike actions being embarked upon by doctors and other health workers and its attendant loss of human lives and economic misfortune. Finally, in order to ensure lasting peace and restore normalcy to the Nigerian health sector, HAPPYNigeria calls on government to, as a matter of national top priority, convoke a National Health Stakeholders’ Summit (or any other name government may choose to call it) to discuss and come up with workable solutions to the lingering inter-professional conflicts and poor funding facing the country’s health system. This will go a long way to restore dignity and confidence of Nigerians in our health system.